The Valley of Roses and the Valley of the Thracian Kings both symbolize Kazanlak. Kazanlak is located at the foot of Stara Planina Mountain (Old Mountain), in central Bulgaria. A small, picturesque town of around 70 000 people. It is 194 km away from Sofia (Sofia day trips), the capital of Bulgaria. A place, good enough to be the start of your holidays Bulgaria. Visit Bulgaria and Kazanlak. Learn about the most beautiful among women, the rose. And how it found its place here in that valley. The Valley of Roses – because of the Rosa Damascena. The same rose that finds the conditions in Kazanlak (like high humidity, suitable temperature and sandy soil) to be more favourable for the cultivation of the rose than the ones in its own country of origin, Tunisia. The legend has it that somebody brought the rose to Thrace from the region of the town Kashan in Persia through Syria and Damascus. Bulgarian scientists presume that a Turkish judge (customized Istanbul tours) introduced the cultivation of the roses to the region round Kazanlak. The judge had beautiful vast gardens planted with fragrant roses. Whatever the truth is, the fact is that the Bulgarian rose oil soon made a name for its superior quality. The greatest treasure of the region of Kazanlak – the rose, became one of the nation’s symbols. That is why at the beginning of the 19th century this rose got its new name, the Kazanlak Damask rose. And the valley to the south of the Central Balkans people now know as the Valley of the Roses. Along with the production of rose oil, a leading role in the economic development of the region was commerce related to the roses. 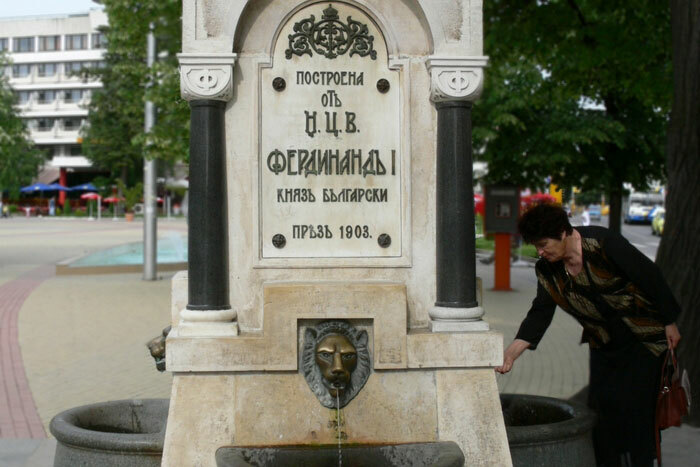 In 1740 Bulgaria for the first time exports rose oil for France. The first official records of rose oil exports refer to trade with Germany and Austro-Hungary beginning in 1771. Since 1903, here in this Valley, we have been celebrating the flowers and especially the main and most beautiful flower – the rose. First, people used to celebrate the Festival of the Rose as the Festival of the Flowers but until the present day all Kazanlak people and its thousands of guests have been celebrating it as the Festival of the Unique Rose. Among Bulgaria tourist attractions, Kazanlak is a unique place because there is beauty and life there. What are the things to do in Bulgaria, in Kazanlak? Visitors of the town can see exhibits of original photographs and documents. They show the cultivation of roses during the Bulgarian Age of Awakening (18th -19th centuries). And also in the 20th century, in the local Museum of the Rose, founded in 1984. Tools used to cultivate the rose gardens are on display. Vessels to store and transport rose oil and rosewater are on display as well. Visitors to Kazanlak can learn more about the region’s rose cultivation at the Kulata Ethnographic Complex. Here ruins of the Thracian capital Seuthopolis, have been found. The tradition was that the capitals got their names after their founder and ruler – Seuthes III. The Big Kosmatka Tomb is supposed to be the place where Seuthes III was buried. This is one of the most impressive tombs, not only because of its size but because of the fact that it hadn’t been looted. It dates back from the 5th century BC. The temple was buried under the 20-metre (66 ft.) high “Golyamata Kosmatka” mound. “This is probably the richest tomb of a Thracian king ever discovered in Bulgaria. Its style and its making are entirely new to us as experts,” said Georgi Kitov, the head of the team of archaeologists that found the tomb. Serving also as a symbolic tomb of Seuthes III, it contained an enormous treasure, exhibited now in the Iskra Museum and Art Gallery. Archaeologists discovered more than 70 silver, gold and bronze objects during the excavation. People used them as ritual offering to the gods. The temple was used between the end of the 5th and the beginning of the 3rd century BC, when a symbolic burial ceremony of Seuthes III took place. After the symbolic burial ceremony, the temple was closed and the entrance sealed and buried. This article is copied from www.enmarbg.com. For more information, you can click on holidays Bulgaria.